Doctorate in Biological Sciences, University of Buenos Aires. Completion of the doctoral thesis on "Dynamic integration of signals environmental issues in Arabidopsis thaliana "under the direction of Dr. Jorge Couple. 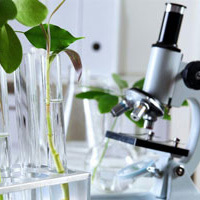 The activities were carried out at the Institute of Physiological and Ecological Research Related to Agriculture (IFEVA), Faculty of Agronomy of the University of Buenos Aires. 1998-2004 Degree in Biological Sciences. Genetic Guidance and Evolution in the Faculty of Exact and Natural Sciences of the University of Buenos Aires. Completion of the degree thesis on "Application from molecular markers to the study of genetic variability in the genus Bromus (Poaceae) "under the direction of Eng. Agr. Raúl Rios. The activities were developed at the Institute of Genetics "Ewald A. Favret ", INTA Castelar. Karayekov E*, Sellaro R*, Legris M, Yanovsky MJ, Casal JJ. Heat ShockInduced Fluctuations in Clock and Light Signaling Enhance Phytochrome B-Mediated Arabidopsis Deetiolation. Plant Cell, 25(8):2892-906. Casal JJ, Candia AN, Sellaro R Light perception and signalling by phytochrome A. Journal of Experimental Botany, 65(11):2835-2845.